At today's Made by Google event, we finally got a look at the much-leaked Pixel Slate. 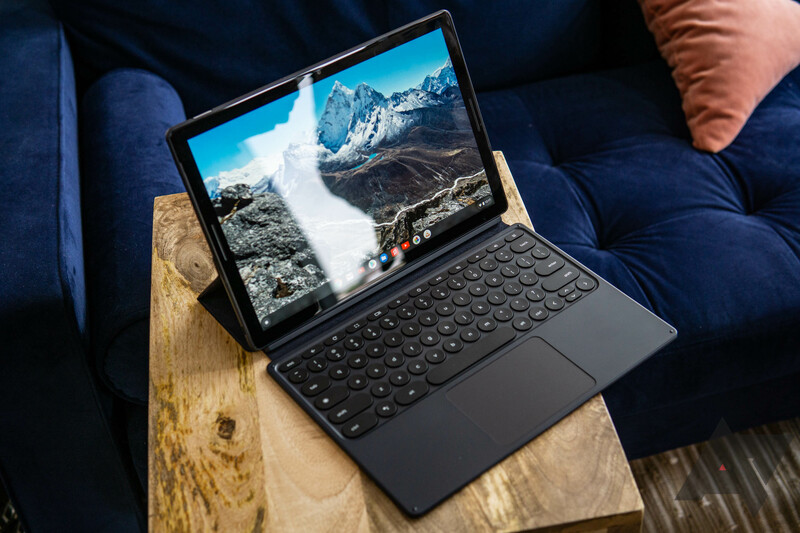 It's Google's first attempt at bringing Chrome OS to a "tablet first" form-factor. 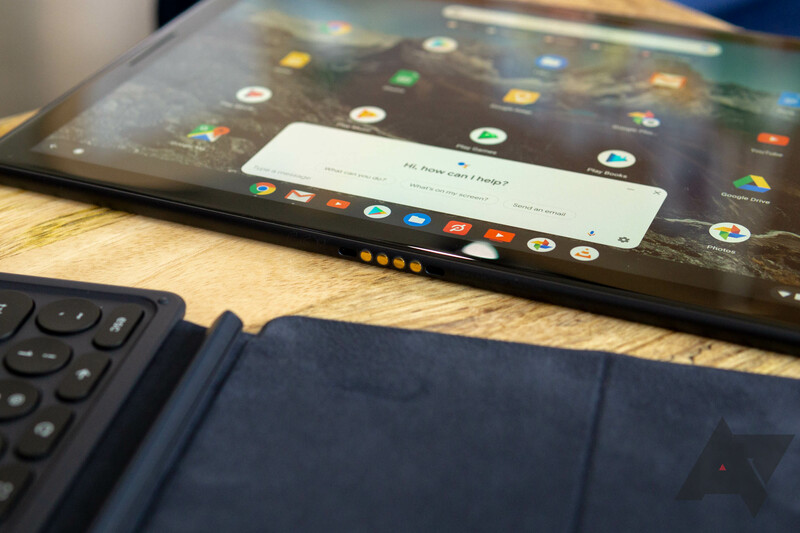 The Pixel Slate is a decidedly premium effort, with a high resolution "Molecular Display," 8th gen Intel CPUs, and stylish metal design — paired with an appropriate $600-$1600 price tag. It might be on the expensive side, but since Google is transitioning its own tablet efforts to Chrome OS, I think it's safe to say the end of Android tablets is nigh. 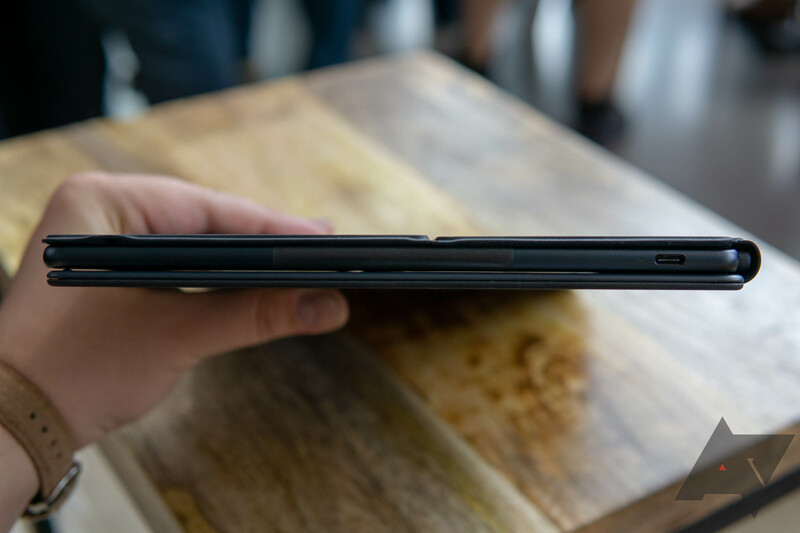 Front "Duo" Camera 8 MP, ƒ/1.9 aperture, 1.4μm pixels, "wide field of view"
We only got to spend a bit of time playing with the Pixel Slate today, and while it's too early to make any final determinations, our initial impressions were positive. 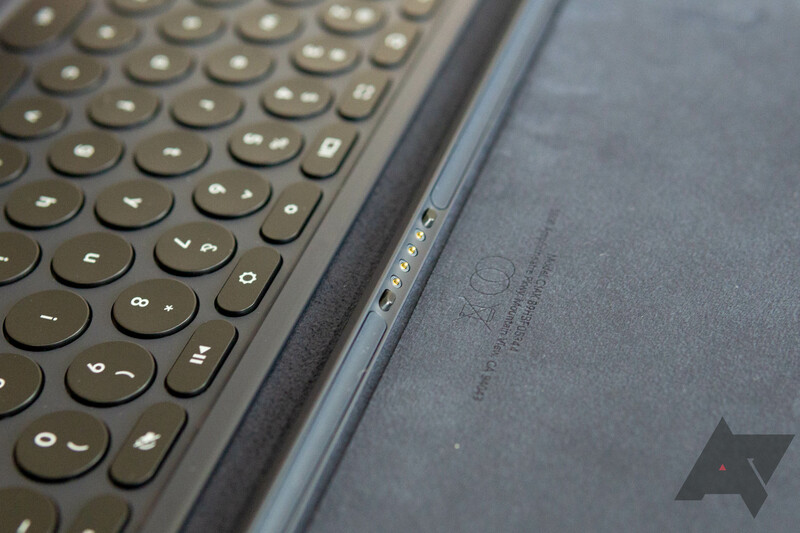 Physically, the device is incredibly thin, but its metal construction feels solid and durable. At 12.3" the obvious comparison is Apple's 12.9" iPad Pro, and the Pixel Slate's display beats it on a few specs, like overall resolution and PPI — though the iPad Pro hits a substantially higher brightness at around 600 nits (depending on who you ask), compared to the Pixel Slate's slightly more pedestrian 400. The Pixel Imprint combo fingerprint sensor/power button is nicely positioned at a slight cutout near the corner of one of the long edges — expect more on how it actually performs in our future review. Interestingly, Google seems to have placed a greater focus when it comes to hardware on the tablets' front-facing camera. Although it's a mere 8MP, the sensor has chunky 1.4μm pixels. Combined with Google's well-known software camera chops, the Pixel Slate should have excellent performance even in mediocre lighting the next time you call someone up via Duo or do a group Hangout. Although it isn't included with your base purchase, the Pixel Slate's $200 keyboard will likely be a popular choice. Unlike the HP Chromebook X2, the keyboard isn't included, you have to purchase it separately. That distinction is telling: Google doesn't believe that the keyboard is necessary to use the Pixel Slate. It's a Tablet, with a capital "T."
Google claims the keyboard is designed to be as nice to use as the much-loved Pixelbook's, and while I don't quite agree with that claim, it's not bad. Key travel was OKish, and though the shape of the keys was a bit difficult to use blind, I was able to get up near my max typing speed at an adjusted 111 WPM, down from ~120. That didn't stop it from being the single ugliest keyboard I've ever used, though. 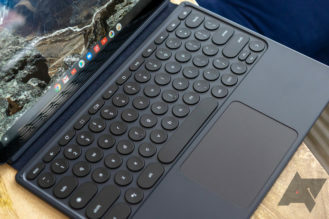 The keyboard cover accessory connects to the Pixel Slate magnetically, powered by a set of four pogo pins. 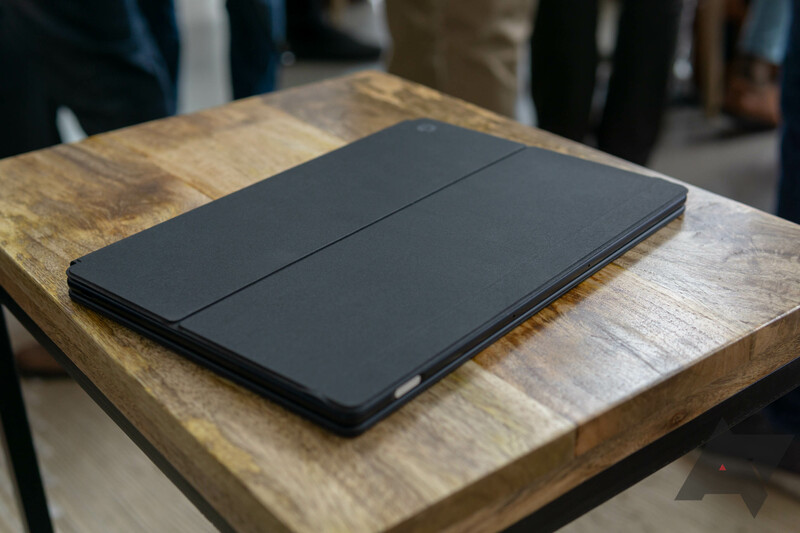 It's also a nearly free-form stand, allowing you to set the Pixel Slate at pretty much any angle within its slightly limited range. It doesn't offer quite the freedom in that regard that a laptop might, but there's a lot of flexibility. It could be a result of pre-production software given the Slate isn't actually shipping yet, but we found it was a bit slower to launch apps or open settings dialogues than we expected. Visually, the Pixel Slate has the same look that the Pixelbook gets on the current Beta/Dev channels with the centered icons in the taskbar and the new touch-optimized app launcher, and it's a good look. 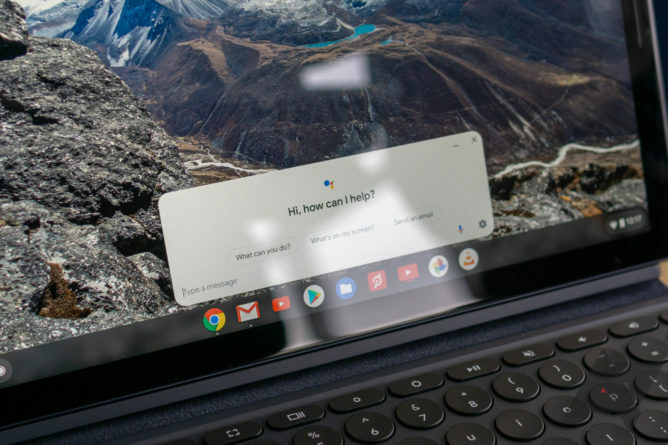 Presumably, the Pixel Slate has the same (or better) level of Android app compatibility that the current Pixelbook enjoys, simply packaged in a new, touch-first form factor. 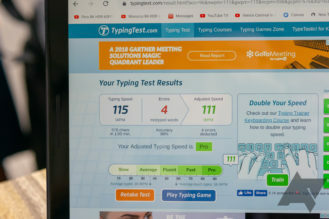 That gives it all of the advantages of Android apps, minus a few things like a real Android home screen/launcher, but with the added benefit of Chrome OS and a full desktop-style browser. In my opinion, the loss of the traditional Android accouterments is a small price to pay for the benefits provided by Chrome OS. Google's browser-centric environment may not beat a full PC for some productive workflows, but for many of us, it's more than enough to do real work, especially with the addition of Linux app support (though I still want virtual desktops). 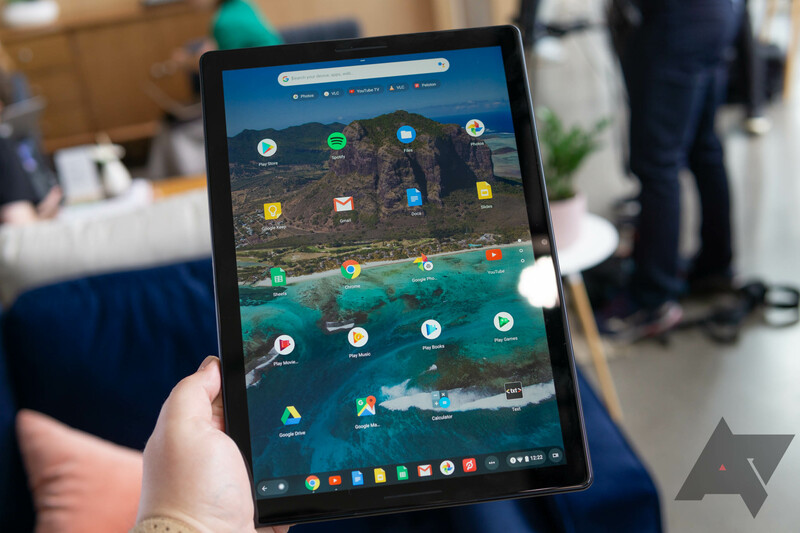 Mix in Android apps for play and entertainment, and the Pixel Slate could be a serious contender for the working professional, serving some of the same audience that devices like Apple's iPad Pro and Microsoft's Surface tablets. 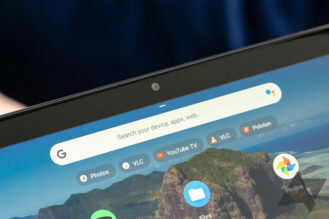 In a genuinely unique way, the Pixel Slate approaches the tablet problem from both sides simultaneously, giving you that desktop-first Chrome OS environment together with the support of mobile-first apps. In concept, that seems like the best of both worlds, rather than simply the extension of one into the other. We'll have to wait and see how it performs in our full review, but I'm cautiously optimistic for the Pixel Slate. 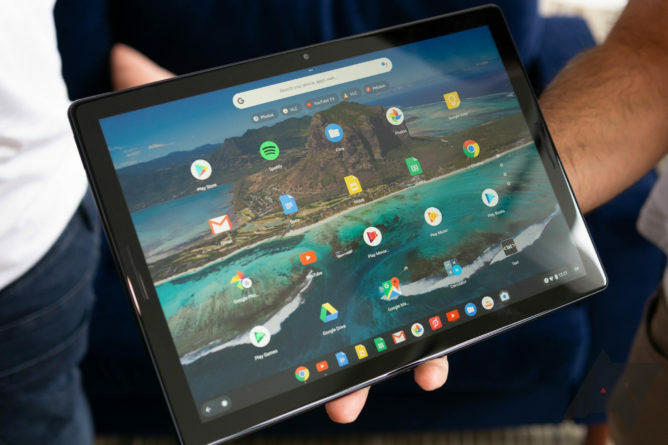 The Pixel Slate is certainly expensive at $600 for the base SKU, but this is the first-party, high-end herald of a coming era: Android tablets are dead, long live Chromebooks.